Browse our wonderful selection of pre-owned vehicles. See all pre-owned Land Rover Range Rovers, Range Rover Sports, Evoques and Discovery models. View a nice selection of Certified Pre-Owned BMW 2, 3, 4, 5, 6, 7 Series and M, X and i3 models. Find a well-cared for pre-owned Volvo S60, S90, XC60, XC70, XC90, V60 or V90. Browse our inventory of beautiful pre-owned Jaguar XE, XF, XJ, F-PACE and F-TYPE models. A great selection of beautiful Porsche 911, Cayenne, Macan, Panamera, Cayman & Boxster models. World Auto Certified Pre-Owned Jettas, Beetles, Passats, CCs, Touaregs, Tiguans and more. Not every automotive need requires an expensive solution! Inspired by customer requests, used cars offering a compelling value equation. If you are in or around the Fort Worth / Dallas area, please visit our Pre-Owned showroom at the intersection of University Drive and White Settlement Road. 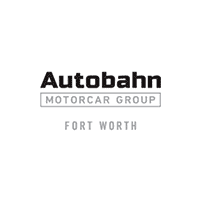 We’re just one mile west of downtown Fort Worth, right in between downtown and the museum district just north a few blocks from the 7th Street area..
Autobahn Pre-Owned Fort Worth(family-owned) offers a great purchase and ownership atmosphere for clients in Fort Worth and the many surrounding areas in Tarrant, Dallas and Denton counties. Due to the great service and our employees’ friendly personalities, our clients also drive to us from Dallas, Plano, Richardson, Denton, Austin, Abilene and many other cities throughout Texas. Thank you for considering us to be your Authorized Land Rover, Jaguar, Volvo, BMW, VW and/or Porsche Dealer!